After reports Sunday morning of a car stopped on the left side of southbound Loop 101 in Phoenix, Arizona, a Kenyan woman was found unresponsive in the car with a rope around her neck and later pronounced dead, the Department of Public Safety said. The woman was identified as 29-year-old Stella W. Kiarie. She was an employee of the Arizona Department of Health Services where she worked with refugees. Officials said Monday that after seeing there was a car seat in the woman’s car, detectives went to her house because they were concerned about the whereabouts of the child. Detectives found a 1-year-old baby boy alone at the house. The Arizona Department of Child Safety responded and took over care for the child. 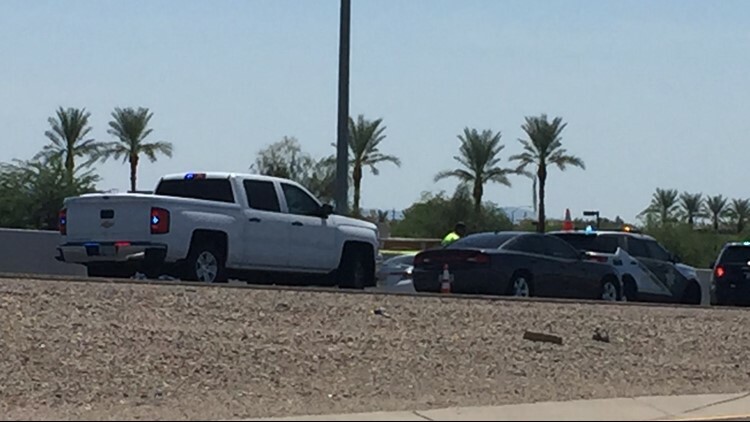 DPS says the HOV and two other lanes were closed four hours as the scene was under investigation. No other details were released about the woman’s death. It is uncertain if it is being investigated as a suicide or homicide. Upon arrival, troopers found a white vehicle crashed against the concrete median wall. The car had some damage to its passenger side. Troopers determined that it had been traveling southbound on the highway when it crashed. They then entered the car through an unlocked door and found an unconscious female in the driver’s seat, later determined to be Kiarie. Kiarie was found with injuries that “were not consistent” with the minor crash with the median wall. A child safety seat was found in the vehicle, so detectives went to Kiarie’s home and found a 1-year-old boy by himself. He was taken into custody by the Arizona Department of Child Safety.